Asanga (Tib. Thogs-med), was a great 4th century early Indian Buddhist master and the brother of Vasubhandu. 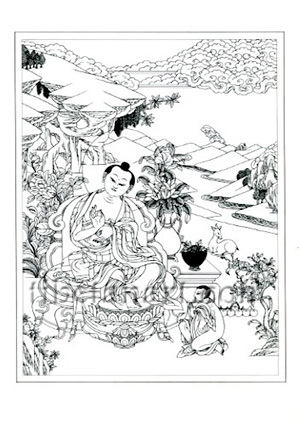 Asanga was a founder of the 'Mind Only' or Yogacara School of philosophy, and he compiled the Abhidharmasamuccaya, revealed the Five Works of Maitreya, and developed various expositions upon the Prajnaparamita Sutras.